At most jobs, we get that dreaded yearly review from our boss where we beg for mercy to keep our jobs another year. OK, maybe not that bad, but they can be a little on the stressful side. Today I turned the tables and I was the boss and my 2016 Shasta Oasis 18BH was the employee I was reviewing. It didn’t need to beg for mercy, as I was pretty sure I was happy enough with it to keep it for another year of camping. The 18BH is our second Shasta Oasis in as many years. 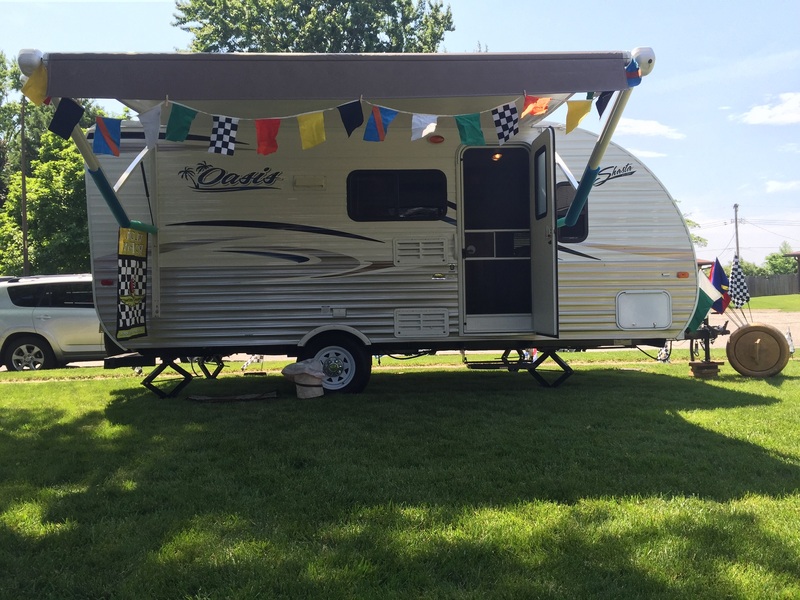 We traded our Oasis 25BH for it on January 21, 2016. 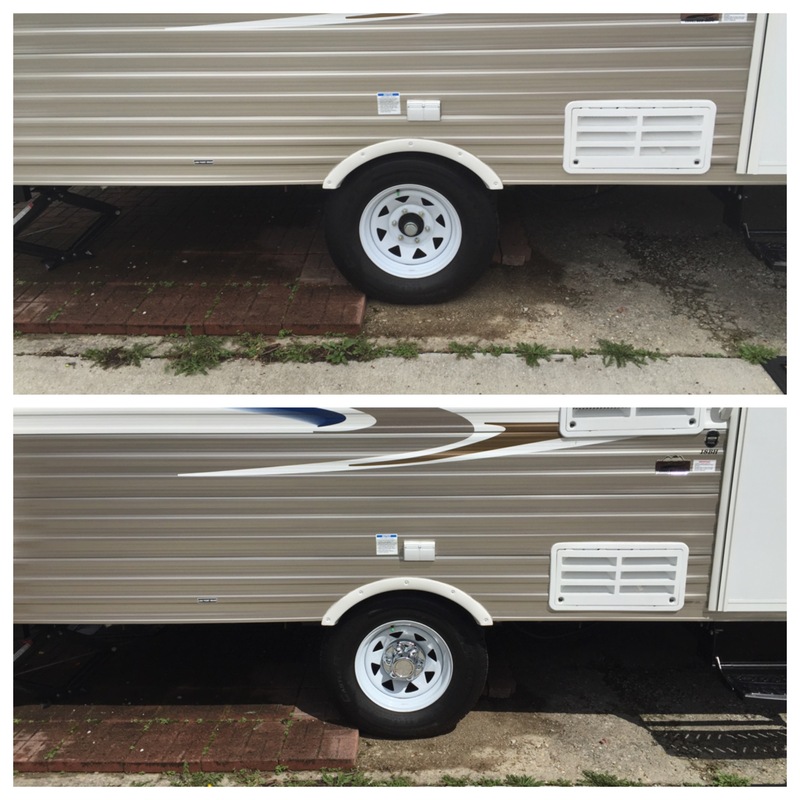 It was a trade down of some 7 feet of trailer due mainly to some tow vehicle issues hauling the 29′ 25BH. Had Shasta had the 18BH floorplan when we bought the 25BH in 2015, it never would’ve been an issue, as we would’ve bought the 18BH back then. But despite going through multiple tow vehicles and trailers over the past two years, we finally are set for hopefully several years to come with the 18BH and our GMC Yukon XL. Now for the meat of the post. Overall, I don’t have any complaints after our year of camping in the 18BH. I did take it in for some minor fixes, like an air conditioner adjustment and tank sensors, but nothing structural – and no leaks! As mentioned, we tow it with a Yukon XL and I’ve found no need for a weight distribution hitch and sway control. The 350 lbs tongue weight is light when compared to identical floorplans from other manufacturers, which generally are checking in at 450lbs and more in some cases. Our 18BH weighs in at 3329 lbs and offers an impressive 1420 lbs of cargo carrying capacity, which leads this floorplan among manufacturers by several hundred pounds. The tanks on the 18BH blow away the competition as well: 42 gallon fresh water, 36 gallon black, ad 36 gallon gray. Many…and I emphasize MANY…with this floorplan give you fresh water tanks half the size as the 18BH. 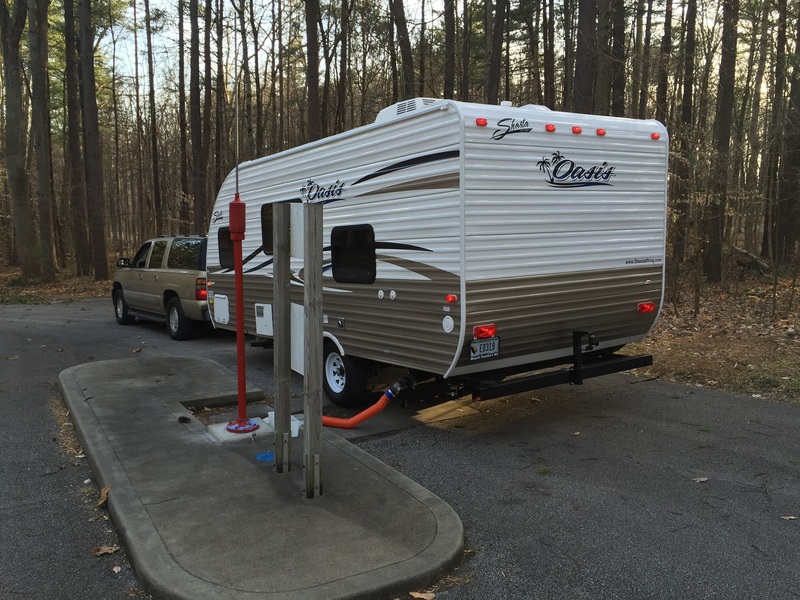 The benefit is the extra tank capacities give you the luxury of camping off the grid for an extended period of time when compared to the competition. Shasta put a nicely sized 12 foot awning on the 18BH, which gives excellent coverage of most of its 21’9″ hitch to tail length. I’ve done a few upgrades to it and have more in store. One of the first things I did was swap out the tail light assemblies for LED. etrailer.com had the same LED assembly that the 18BH had with its incandescent. You can change out just the bulb and save some time and money, but I’ve never been a fan of the barrel style LED bulb. The flat board type LED distributes the light better, in my opinion. 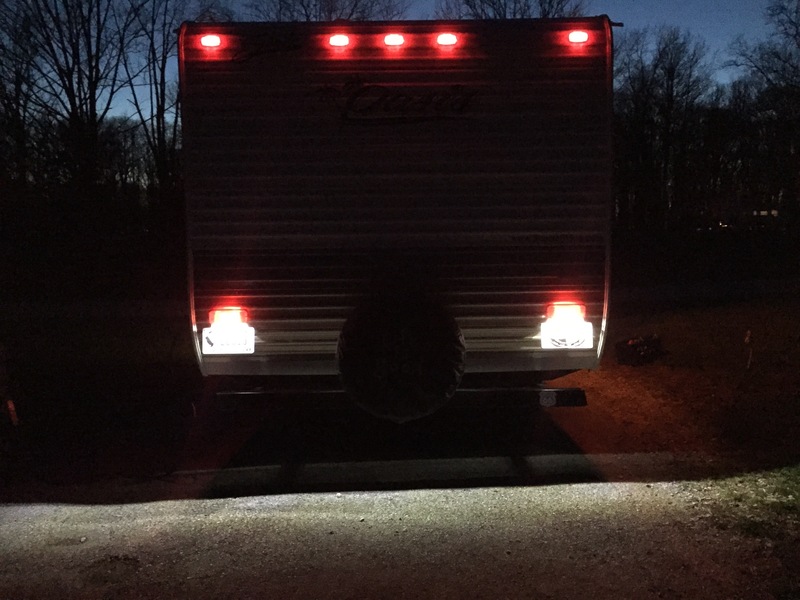 The license plate lights also give the added benefit of acting as almost a backup light, which comes in handy when backing into a campsite at night. 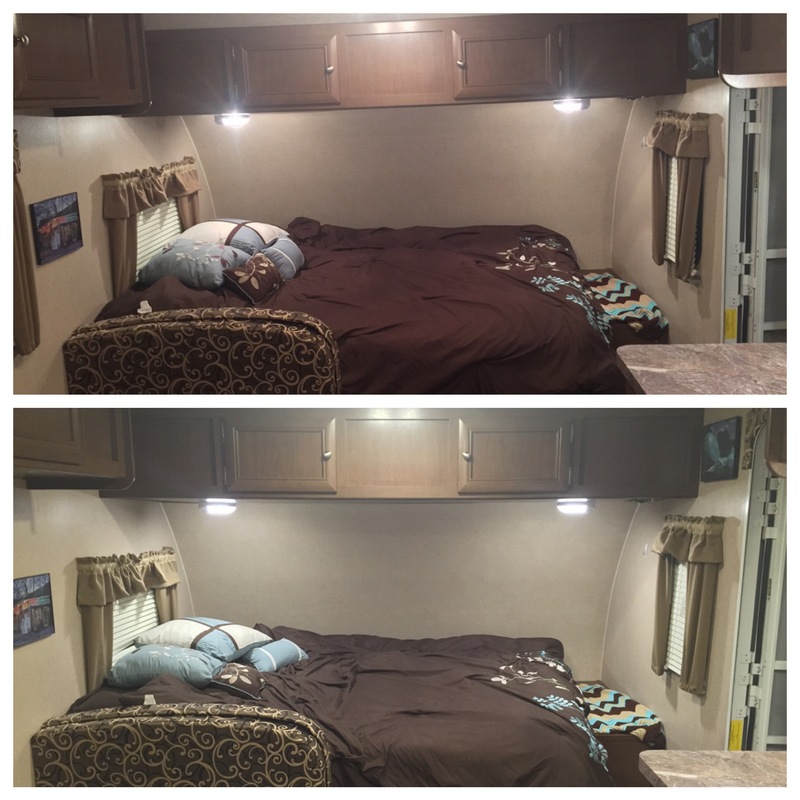 Another upgrade I recently completed was replacing all the incandescent interior light fixtures with identical Optronics LED fixtures. There are 5 double lights and 4 single lights in the 18BH Oasis. This was a simple upgrade that cost less than $100 shipped. The result is more than 75% energy saved, a brighter and whiter light, and better ability to camp off the grid. This was by far the biggest upgrade I’ve done and the results far exceeded my expectations. The 2017 18BH models now come with LED lighting, so unless you have a 2016 or older, this wouldn’t be a necessary upgrade. The last thing I did wasn’t much, but a little “dressing” up the wheels by adding plastic chrome hub centers. Sure it’s not much, but when I add some stainless steel beauty rings this year, it’ll add some additional flair to it. As for the 2017 18BH models, Shasta has given them a makeover, as well as added a few extras. Gone is the combo white/gold paint scheme in favor of a tan/cream look. They’ve also made the entry door as well as baggage door the same color as well. It’s been out a few months now, but I’m still on the fence which I like better. I guess they both look nice…just different from each other. Aside from the exterior colors, they’ve also added a back-up camera prep as well as solar prep. If you’re looking for this bunkhouse floorplan, there are A LOT of manufacturers that carry it. I would venture to say that this is one of the most common floorplans among all RV manufacturers. I looked at a lot of them just over a year ago. I traveled a lot of miles to look at brands that dealers didn’t carry in central Indiana. While I liked some features of others, we kept coming back to the Shasta. The storage in it exceeds any floorplan by any other manufacturer without debate. I completed a nearly 30 minutes walk thru video of ours earlier today where I talk more in depth of how the Oasis blows away the competition in terms of interior storage. The price is right for what you get too. Sure another manufacturer may put in a stereo system and throw in a TV, but I’ve got my own radio and my own TV I can bring to the party. 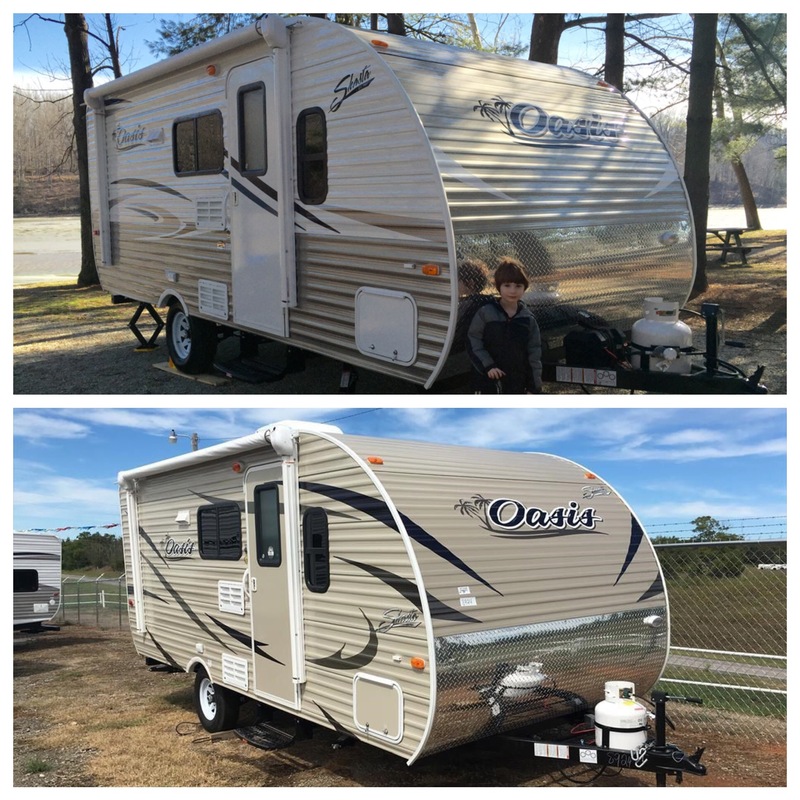 I look for bang for my buck when buying a trailer and the Shasta Oasis 18BH delivers. 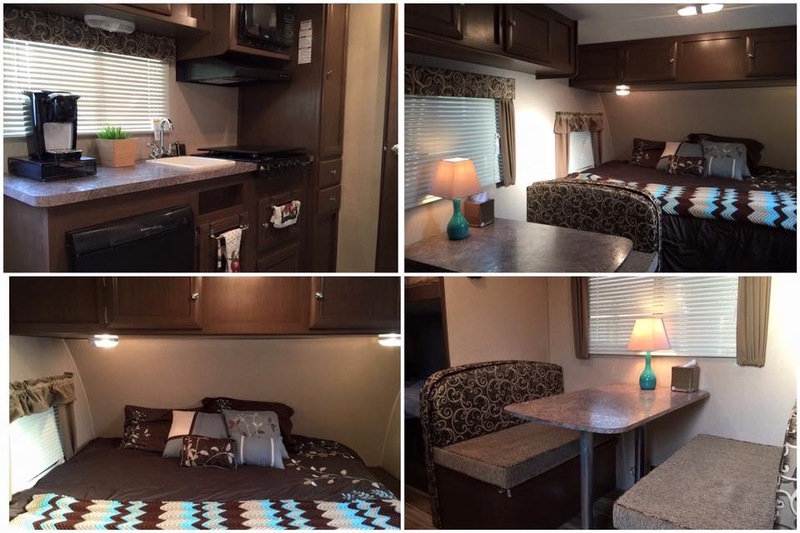 The dealer where we bought ours, Mount Comfort RV, currently has 2017 models for under $13,000. So if you’ve been searching for this floor plan and you were to ask my opinion, this blog post should give you my answer. You can feel confident in its structure and functionality, all while not needing a pot of gold to buy one. 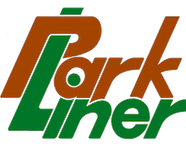 Liberty, North Carolina based GFM Industries, parent company of fiberglass trailer manufacturer ParkLiner, issued a release today regarding a new partnership with Uniontown, Ohio based Little Guy Worldwide. According to the release, ParkLiner, always a factory direct manufacturer, will team up with Little Guy to market and distribute their fiberglass trailers in a traditional dealer network, something not often…if ever…seen with this type of trailer. In a story published on January 11, 2017, RV Business magazine crowned the Airstream Basecamp as the 2017 RV of the Year. 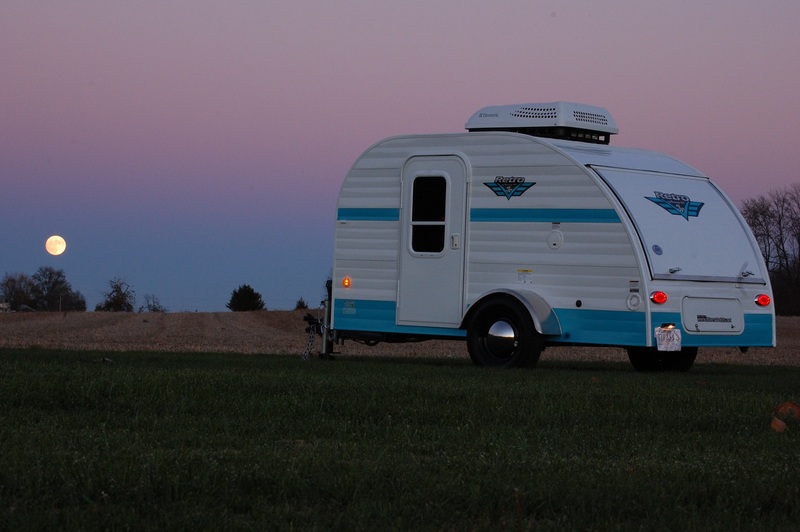 The Basecamp, which initially was part of the 2008 Airstream lineup for just one year, was resurrected and reintroduced late in 2016. The award was whittled down to five finalists from various sectors of the RV industry. Aside from the Basecamp, other finalists were the Coachmen RV’s Sportscoach 408DB Class A motorhome, the Erwin Hymer Group’s Touring travel trailer, Keystone RV’s Outback 332FK travel trailer, and Newmar’s King Aire Class A motorhome. 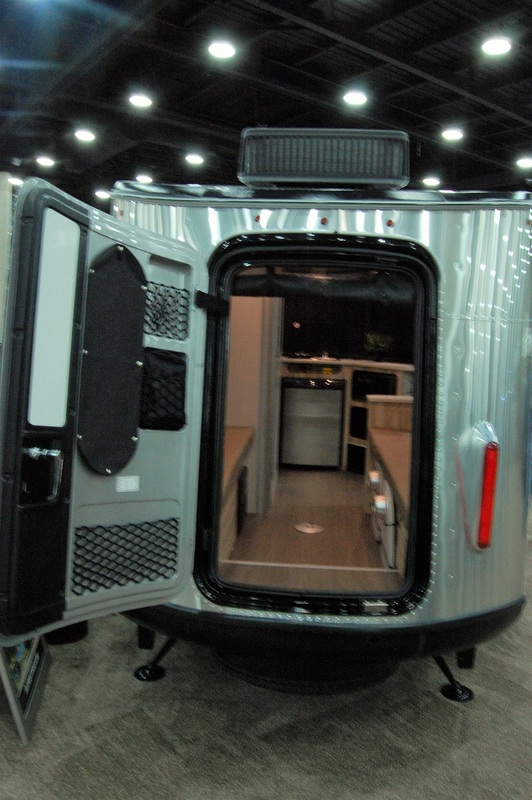 The reincarnated 2017 Basecamp kept essentially the same shape, but added a side door to go along with the rear hatch for loading gear, as well as a cooking surface with stove and sink, a wet bath, refrigerator, and a wireless Bose Bluetooth Soundlink Color speaker. 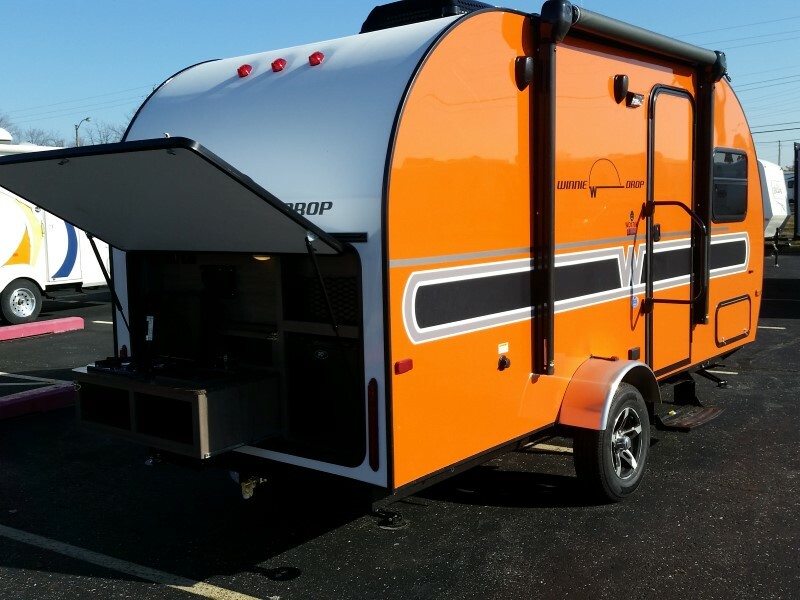 At just under 2600 lbs and 16 feet total length the new Basecamp is geared toward the outdoors enthusiast who you typically won’t find at your local state park campground. Like the Taxa Cricket, the Basecamp is suited for those mountain bikers, fishermen, hikers, and all those others with a hunger for adventure camping who you’ll likely find…or won’t find…camping off the grid in a secluded forest near a stream. 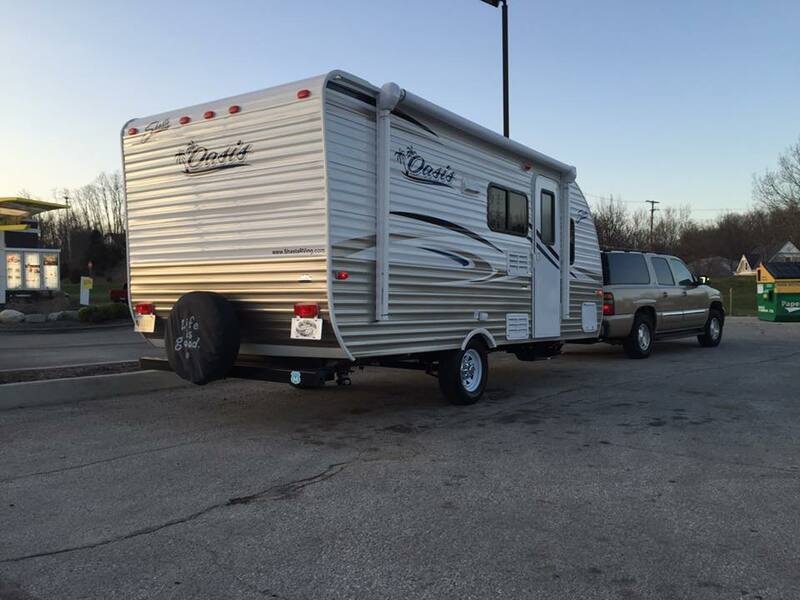 MSRP on the Basecamp is set at $35,900, which is about $10,000 less than the similarly sized 16′ Bambi Sport. 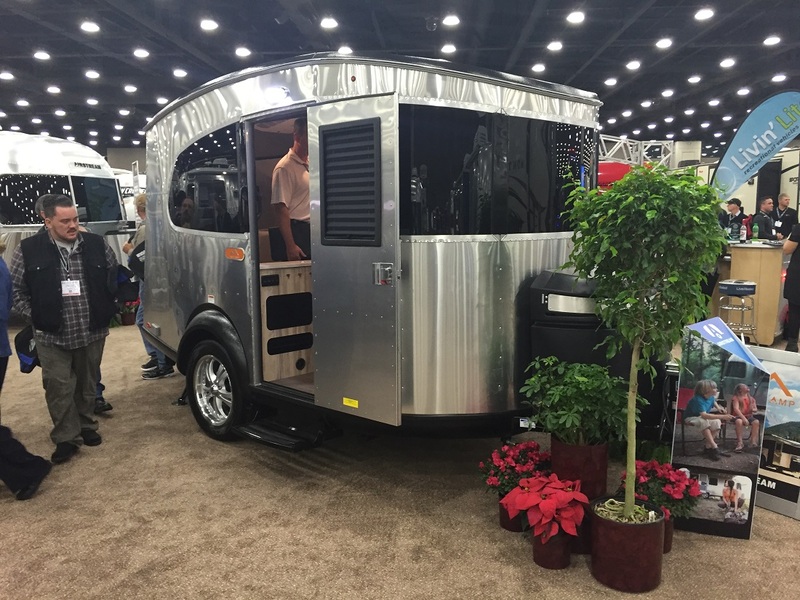 The winter RV show season is kicking off in many cities this coming weekend, and the 120,000 square foot Indy RV Expo in Indianapolis is one of them. Some of you long time readers may recall I’ve filled in as a part time salesman over the past few years for local Indianapolis dealers Braun’s Fun Time Campers and Mount Comfort RV. I thought I was going to be an “unsigned free agent” for this year’s show and just be a spectator until an opportunity arose this week to join Braun’s again on both weekends of the show. 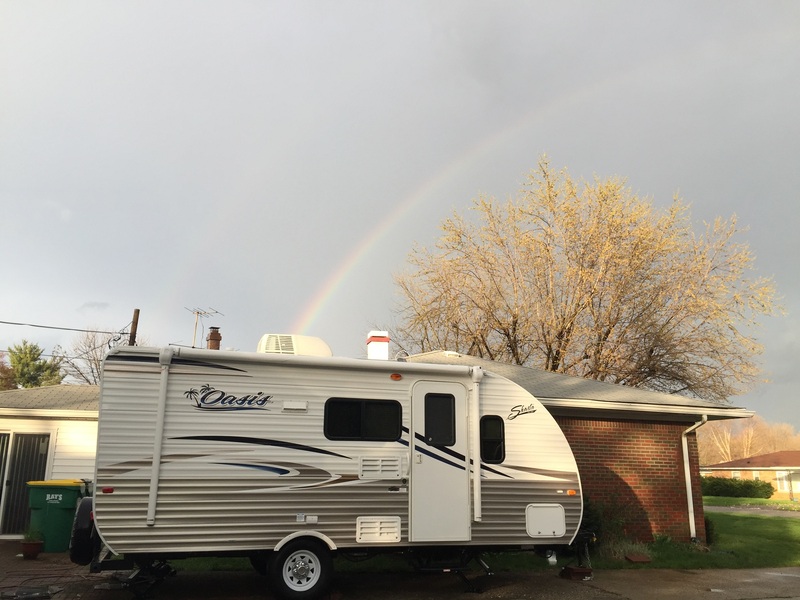 As most of you know, this website is not my full time job, and I don’t even make a regular living in the RV industry – I work full time in the retirement services division of a major insurance holding and financial services corporation. So any time I get to escape the daily routine and talk to folks about trailers in person, I’m all over it! I enjoy writing and having you all read my ramblings, but helping dealers at these shows is a no pressure, rewarding venture for me that allows me to get out and help the industry grow. Granted, I like to think this website does just that as well, but talking to people one on one about RVing is one of my more enjoyable things to do. So, for those of you in the Midwest looking to get out of the house, the show starts this coming Saturday, January 7 and runs through Sunday, January 15 at the Indiana State Fairgrounds. I’ll be working at the Fun Time Campers corral both weekends of the show from open to close. 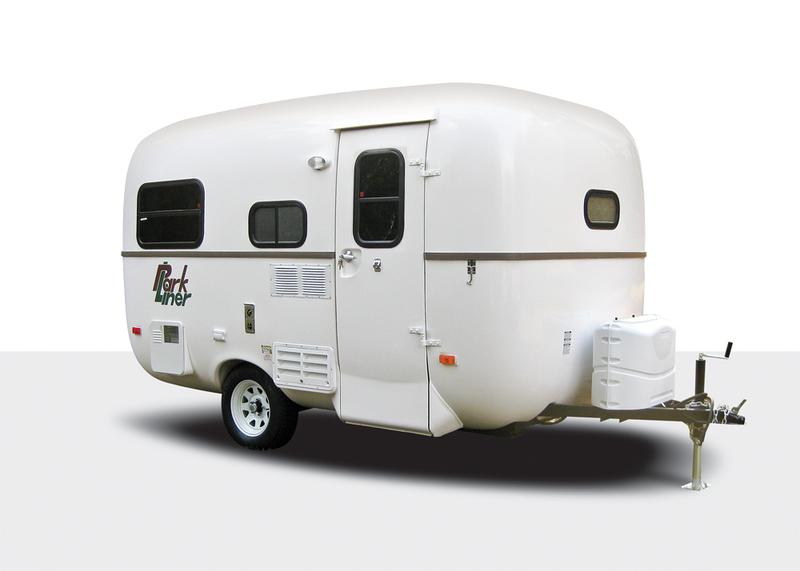 Braun’s is a dealer mainly of Riverside Retro, Winnebago Towables, and KZ travel trailers. 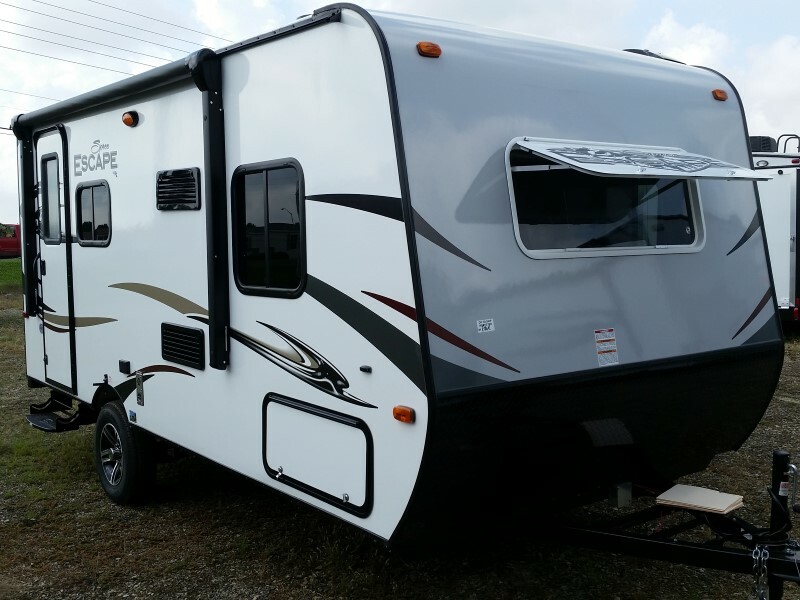 They’re the same dealer we recently bought our Riverside teardrop from, so as was the case with my time working the show for Mount Comfort RV last year, I’m taking the angle of a customer selling for them as well. Honestly, a lot of folks don’t like dealing with sales people, so I try to convey to them my position as a fellow RVer. In some cases, that can tend to enable them to drop their defense shield a bit knowing they’re dealing with “one of them”. So aside from Riverside Retros, you can expect to see some Winnebagos there such as the Winnie Drop and plenty of KZ products, such as the Escape. Even if you’re not in the market for a trailer and just want to see what Braun’s and the other dealers have brought out, I do hope you’ll hunt me down and say hello!